If you are looking for cost-effective centrifugal and positive displacement pumps, look no further than Phantom Pumps. Phantom Pumps has high-quality trash pump models that are able to handle solids ranging from 1-1/8” to 3”. Our products are the same or higher quality than many of the other trash pumps in the fluid handling industry and also lower in price. 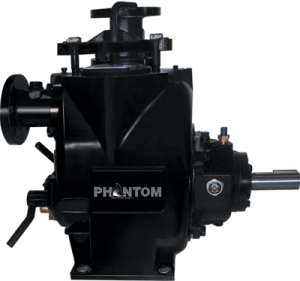 Phantom Pumps manufactures several lines of self-priming pumps that are ideal for applications that require centrifugal pump equipment such as a sump pump, sewage pump or irrigation pump. Our pumps and parts are compatible and interchangeable with many pump models including pumps and parts from Gorman-Rupp, All Prime, Durco and other leading pump manufacturers. All of the pumps that are available from Phantom Pumps are self-priming, which makes installation and maintenance fast and easy. Labor costs are usually lower because manual priming is not necessary on any of our sewage pump, trash pump or other submersible pump products. Every pump includes a one-year warranty, and we assemble and package all pumps in the United States for quality assurance. You can rest assured that all of the trash and sump pump equipment manufactured by Phantom Pumps will meet or exceed the highest industry standards. The service and support that we provide to our customers in Florida, Georgia, Louisiana, Maine, Michigan and beyond are second to none. Our global network of distributors provides local installation and start-up assistance, as well as after sale support and service. We have application engineers to help with pump selection, and our parts specialists can determine which Phantom Pumps replacement parts are compatible with your manufacturer parts for repairs and maintenance of sump pump and other equipment. We are more than happy to provide cross-reference materials and user manuals. Contact us today for more information or to request trash pump or other pump quotes.